Liquid Engineering Corporation (LEC) traces its roots back to 1972 when its predecessor, Montana Logging and Salvage, was organized to undertake underwater logging and salvage activities in the Pacific Northwest. 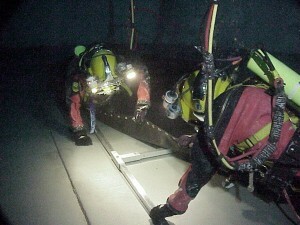 LEC evolved into a potable water diving contractor with the development of this specialized field. As a result of the company’s rapid expansion, innovation and track record, our 25,000 clients have increasingly requested a broader array of services and support. LEC provides creative, efficient solutions and cutting-edge technology to meet each client’s unique water tank maintenance requirements. We are the largest in-service water tank inspection firm in the United States. Full range of collaborative engineering services. The LEC Advantage means that we provide our clientele with the best people and technology for each job. From initial call, to completion of each project, our full time staff of dedicated professionals is at your disposal. What does that mean to you? You experience minimal to no disruption. You have the necessary time to focus on other more important things. LEC’s goal is be your first choice to handle all water tank and clearwell maintenance needs associated with your water system. LEC’s field crews are deployed in various locations throughout the country so whether your need is routine or an emergency; LEC specialists are always nearby. This nationwide exposure, efficient access to comprehensive historical data, and highly trained field crews and office technical staffs, allow for the most complete and cost effective maintenance solutions possible. Whether your project is simple or complex, if it is associated with water, LEC has established the Team of Experts and strategic relationships to handle all your needs. 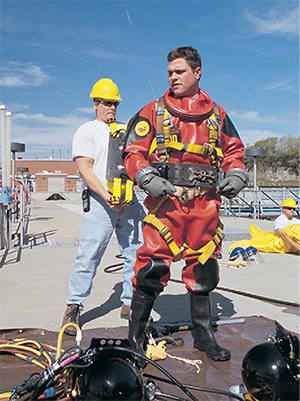 All Liquid Engineering operations personnel are at a minimum, graduates of either an ANSI/ACDE Certified Commercial Dive School Program or an approved US Navy Commercial Diver Program (i.e., US Navy 2nd Class or Master Dive School). Further, all diving operations are conducted in accordance with U.S. OSHA CFR 1910 Subpart T, the Association of Diving Contractors International (ADCI) consensus Standards and all applicable US Coast Guard Diving Regulations. All LEC Dive Maintenance Technicians are trained in recompression chamber, hyperbaric medicine and high altitude diving operations. In addition, LEC has a Department of Defense (DOD), Department of Energy (DOE) and Department of Transportation (USDOT) approved zero tolerance drug and alcohol policy. All corporate officers and employees are subject to, and randomly tested for, drug and alcohol abuse.